Readers may recollect my despatch from June 2018 about the refusal of the State Bank of India (SBI) to disclose under The Right to Information Act, 2005 (RTI Act) information about the buyers of Electoral Bonds (EBs) and political parties which received them. The Central Public Information Officer (CPIO) denied information about buyers and the denominations of EBs they purchased, saying that compiling such information would lead to disproportionate diversion of the Bank's resources. He also decided that all reports sent to the Central Government about the sale and purchase of EBs were in "fiduciary capacity" and could not be disclosed under Section 8(1)(e) of the RTI Act. SBI's CPIO provided only denomination-wise figures for the sale of EBs through the designated branches. Even this data did not match with the data the same CPIO had earlier supplied to Mr. Rakesh Reddy Dubbudu, of Factly.in and one of my fellow Co-Convenors of the National Campaign for People's Right to Information (NCPRI). So I filed a first appeal with SBI's First Appellate Authority (FAA) in July, 2018. SBI sold 10 EBs of INR 1,00,000 denomination (Rs. 10 lakhs or 1 million), 38 EBs of INR 10,00,000 denomination (Rs. 3.8 crores or 38 million) and 9 EBs of INR 1,00,00,000 (Rs. 9 crores or 90 million) denomination totaling INR 12,900,000 (Rs. 12.93 crores or 129.3 million) through its designated branch in Bengaluru. 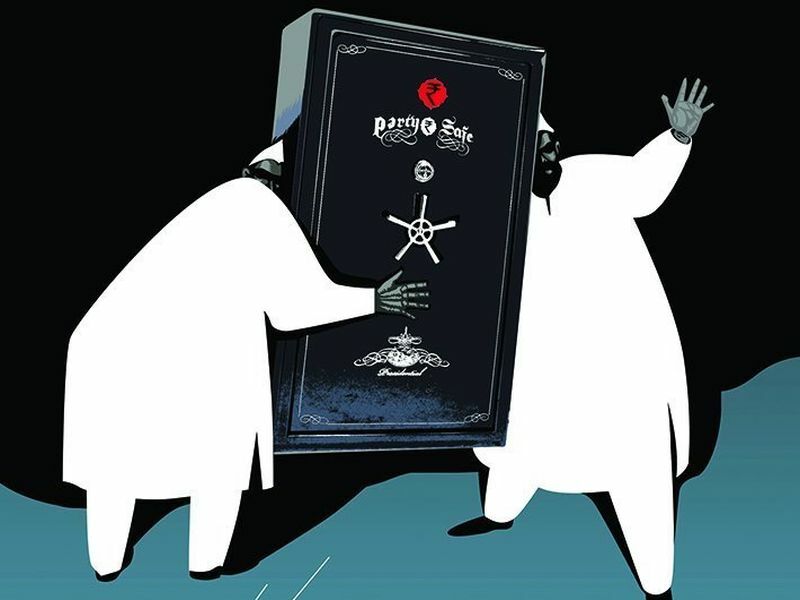 The CPIO had earlier denied access to information about the beneficial ownership declarations submitted by companies and firms that bought EBs and the reports about EB sale submitted to the Central Government and the Reserve Bank of India (RBI) claiming that they were covered by Section 8(1)(e) of the RTI Act which applies to information held in a fiduciary relationship. SBI's FAA mechanically "concurred" with the CPIO's order without any detailed reasons. Except for stating that I had made my arguments based on RBI's Master Circular and the Supreme Court's explanation of how a RBI could not claim "fiduciary relationship" with the Banks it regulates, the FAA did not bother to examine the validity of the CPIO's order against those arguments. So when SBI is in a contractual relationship with its customers, according to the RBI, its CPIO cannot claim the protection of "fiduciary" relationship as well. A fiduciary relationship is a trust-based relationship. This position has been clearly explained by the Supreme Court of India. It is only obvious that the same ratio will apply to SBI in its relationship with the RBI and the Government of India. There can be no 'fiduciary' relationship between them. SBI's FAA refused to examine the correctness of the CPIO's reply in light of the RBI's Master Circular of July 2015 and the Apex Court's ruling on the nature of "fiduciary relationship" in Jayantilal Mistry. The FAA also ignored my citation of case law, decided by the Central Information Commission twelve years ago, about the illegal practice of using Section 7(9) of the RTI Act for refusing access to information. He has upheld the CPIO's decision to reject information about buyers of EBs by agreeing that such information is not available in compiled for and compiling it would disproportionately divert SBI's resources. My argument that Section 7(9) cannot be used to reject an RTI application but must be used to facilitate access to the requested information in any other form were simply ignored by the FAA. The FAA chose to mechanically uphold the CPIO's decision- an indication of a refusal to apply one's mind despite compelling case law. He could have permitted file inspection but he chose not to so do. So much for the Quest for Transparency of political party funding through the sale of EBs. Of course, soon, I will file a second appeal before he Central Information Commission against the orders of the CPIO and the FAA of SBI. So much for increased transparency in political party funding. Like I remarked a day after the EB idea was announced through the annual budget in February 2017, this is a backward leap to the era of secrecy and the new "transparent" system is proving it time and again.